What is the Hardest Poker Game? - Casino Answers! 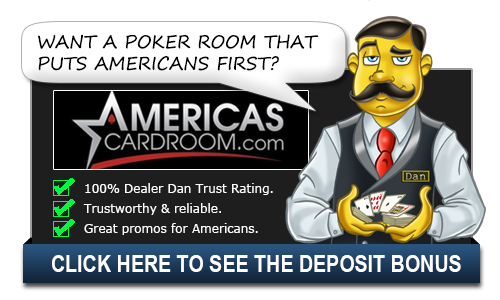 Casino Answers » Poker » Online Poker Beginner Q&A » What is the Hardest Poker Game? Depending on whom you ask, this might be any of several games. In my opinion, the most difficult poker game to play is defined as one where good players have a large edge over new players, playing drowsy, drunk, or distracted are the most devastating, and the game is regularly played at very high stakes, like in Bobby’s Room at the Bellagio. The most mainstream game that most accurately fits these three categories is Deuce to Seven Triple Draw. In Deuce to Seven, the weakest hand wins. Triple Draw is a form of draw poker where players are dealt five cards and have a chance to discard three times during the hand. In Deuce to Seven, straights and flushes count against your hand. The strongest hand is 2-3-4-5-7 (hence the name of the game), and the weakest hand is a made flush. A ten-high hand is weaker than a nine-high hand, regardless of the other four cards in the hand. Because there are no community cards, bluffing and reading bluffs requires a lot more concentration. Because the winning hand is sometimes a ten-high, but other times a seven-high loses, reading the strength of your opponents hand takes a great deal of skill. For all of these reasons, deuce-to-seven triple draw is definitely one of the hardest poker games. Of course, some people would say that no limit Texas Hold’em is the hardest game in poker. While the poker itself is pretty straight forward, the bankroll management and constant readjusting of your strategy based on the size of your stack can be a lot for some people. The swings are what’s said to get people as the simple variance of the game and the no-limit nature of the betting can lead to some bad losses, very fast. Additionally, many people find Omaha to be the most difficult game to master. It is a very difficult game to learn as there are many variances to how your hole cards will play out and learning to quickly process all of them is extremely difficult. It’s also a very hard game to bluff in with so many cards in play at once. You always need to have your mind on exactly what the “nuts” (best possible hand) is and proceed accordingly. This requires doing a lot of calculations on your head on the fly and it can be too much for some. There are many different variations of poker and all of them can be quite hard if you are sitting down at the wrong table. It’s important to fully understand the game that you are playing and to choose a game that fits your particular skill level the best. You have to walk before you can crawl and you shouldn’t start swimming with the sharks til you get your feet wet. Poker is a competitive game and there won’t be anyone to hold your hand while you figure it out. Quite the opposite, actually.